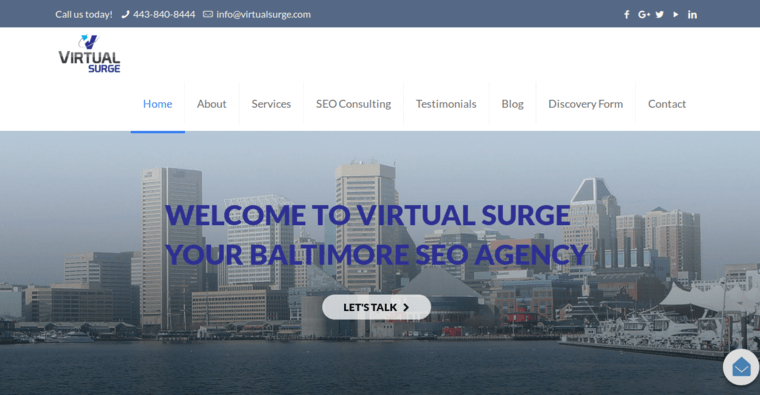 Form their offices in Baltimore, Virtual Surge serves local, national and global clients with industry-leading online marketing solutions. In addition to receiving awards for overall excellence, Virtual Surge is specifically being recognized for its work in the field of search engine optimization. In other words, Virtual Surge can create optimized websites and website content that precisely matches the relevant search engine queries of prospective customers. Moreover, Virtual Surge specializes in getting their clients placed near the top of search engine results so they attract the most attention. Virtual Surge insists on delivering measurable results to every client, helping to explain the agency's high level of customer satisfaction and retention. 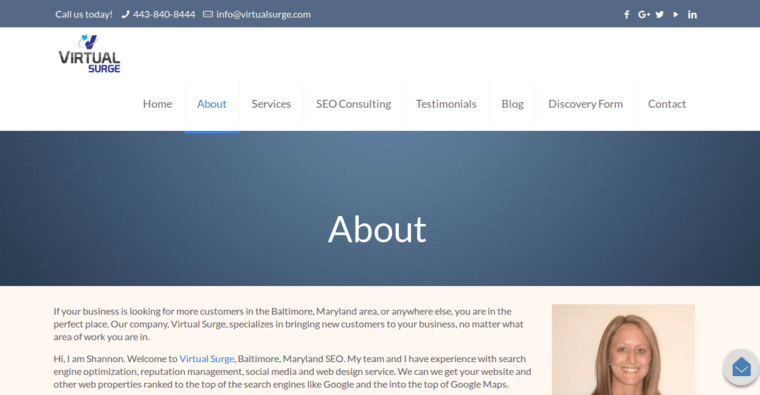 In addition to SEO, Virtual Surge provides social media marketing and web design services. Companies that are interested in choosing Virtual Surge can visit the firm's website. There, they can request a free SEO analysis and initial consultation.